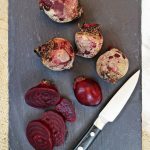 You are here: Home / Side dish / Simple Slow Cooked Beetroot – so easy! 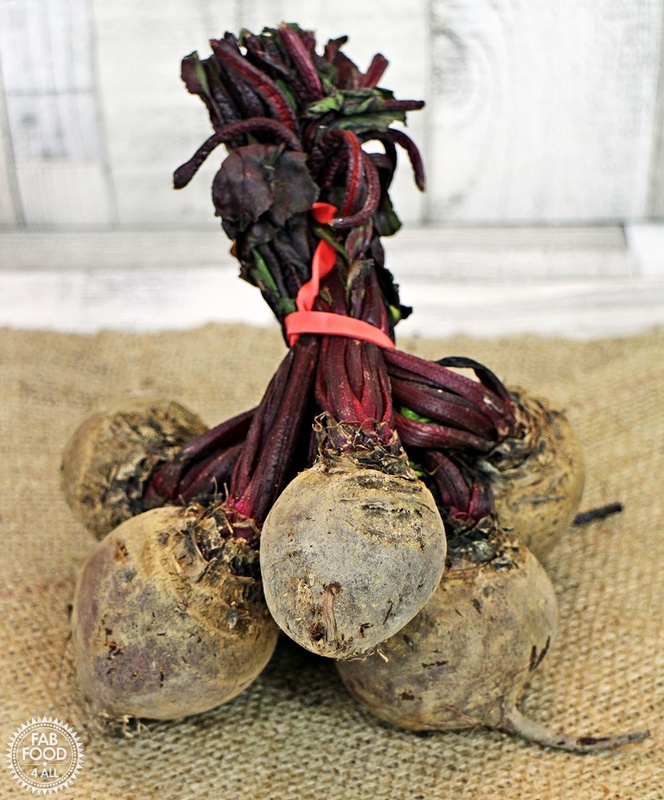 Simple Slow Cooked Beetroot – so easy! I had a brainwave today and made this Simple Slow Cooked Beetroot! I was going through my salad drawer and noticed a bunch or organic beetroot that I’d picked up cheaply recently. I’ve never cooked beetroot before and knew that boiling was the usual way of cooking it. 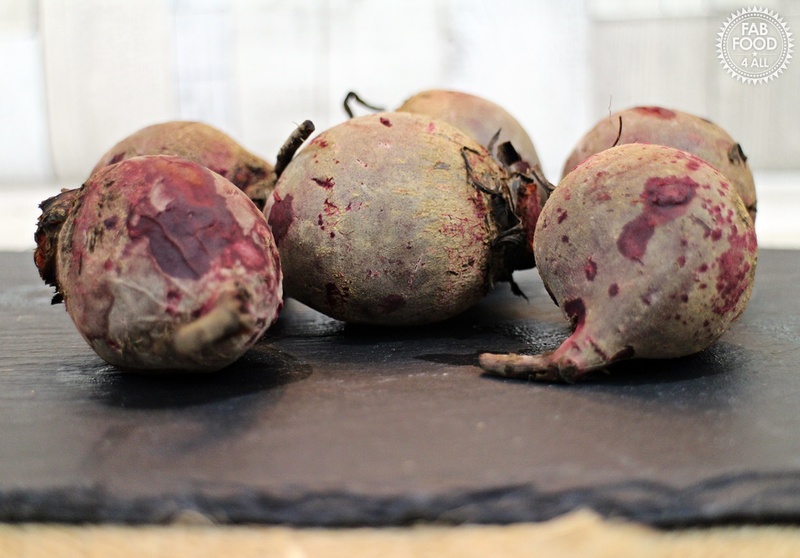 I remember as a child one of my dad’s favourite things was the boiled beetroot from our local green grocers, the supermarket beetroot in vinegar never got a look in! But Saturday is always a busy day and I didn’t want to fuss over a pan of boiling beetroot so decided that the slow cooker would be the perfect fuss free way to cook them. After some research I discovered that there weren’t any recipes for slow cooked beetroot so I made an educated guess that 3 hours cooking on high would be about right. How pleased was I when after 3 hours the beetroot was firm and perfectly cooked. The flavour was so good too, I expect being organic probably made a difference. I usually buy cooked beetroot in a vacuum pack but compared to my slow cooked beetroot I now realise how insipid the flavour is. So if you’ve never cooked your own beetroot then I can’t recommend this easy and simple cooking method enough. What could be easier than popping your beetroot into a slow cooker, covering with water and then forgetting about them for 3 hours? Do you cook any vegetables in your slow cooker? Do let me know in the comments! 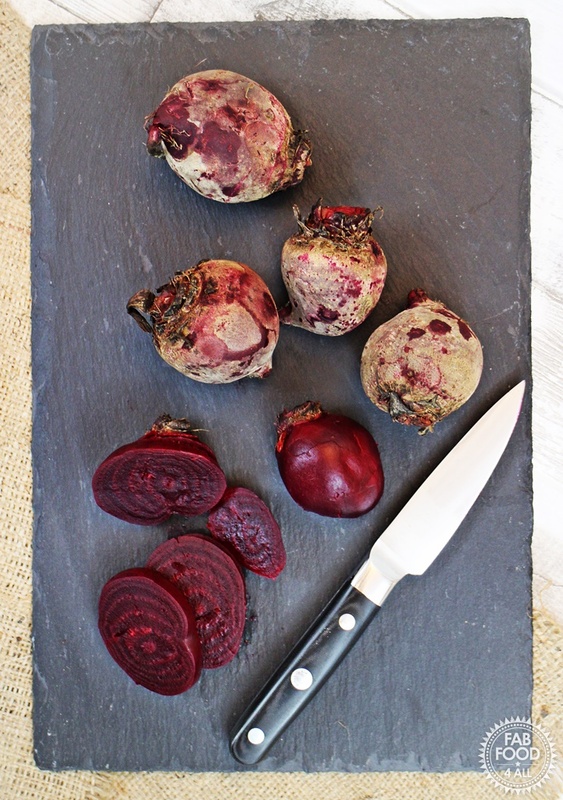 Simple Slow Cooked Beetroot - so easy! 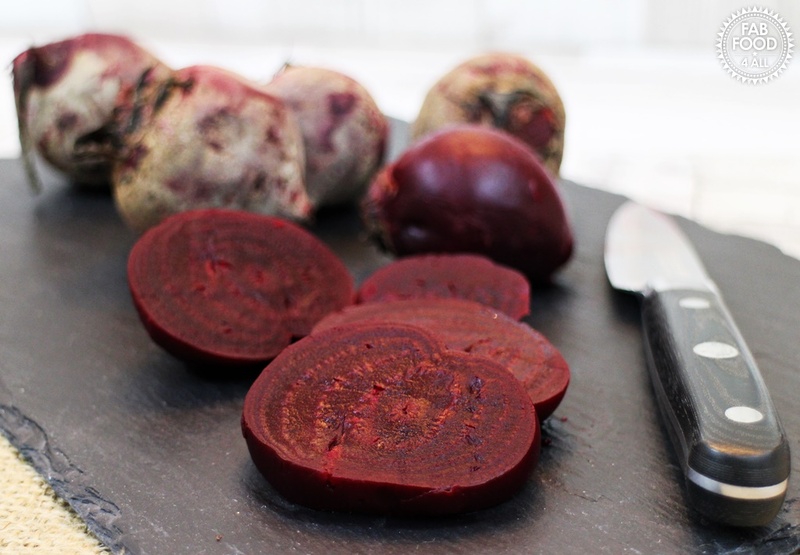 Simple Slow Cooked Beetroot, so easy and with an intense beetroot flavour. No vinegar just water is the key! Wash the beetroot and cut off the stems. Place in slow cooker and add enough boiling water to cover plus 2cm. Cook on high for 3 hours or until just tender when pierced with a cocktail stick or skewer. Remove beetroot skins by rubbing off with your thumbs. Previous Post: « Smokey Maple Roasted Chickpeas – vegan & gluten-free ActiFry recipe!